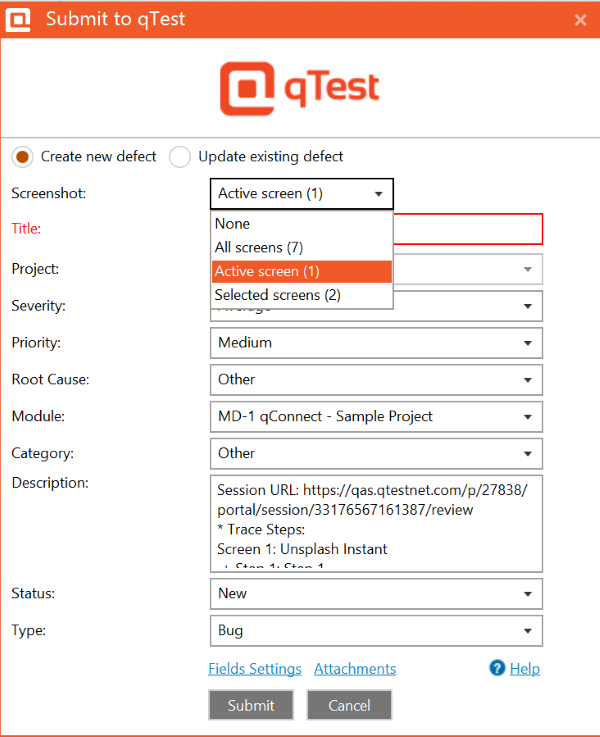 When using Save As, Email, Test Case Preview or Submit Defect function, user is now able to select 'Active screen' from Screen option field which will export the current editing screen in session editor. 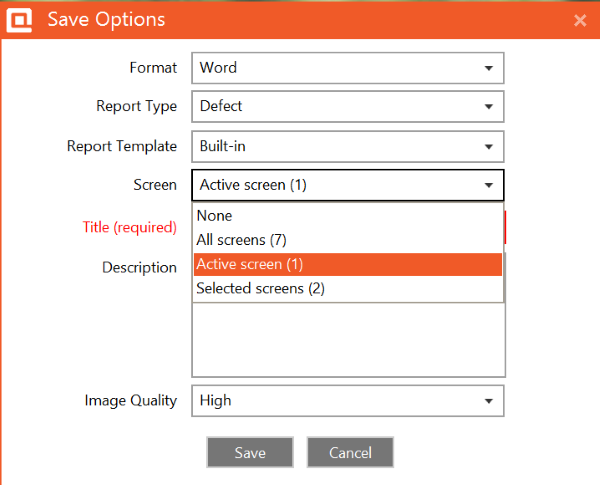 Each screen option also includes a number of screens to be exported. 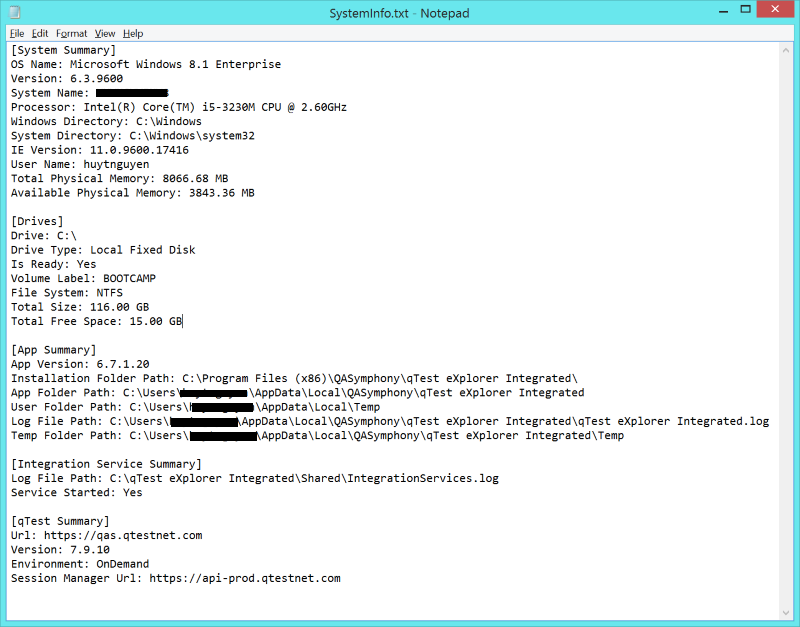 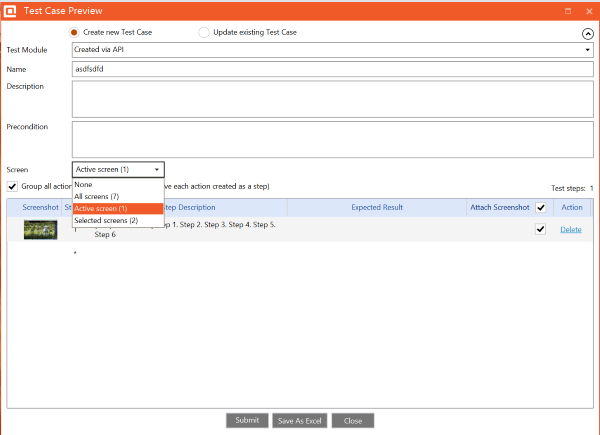 Below are screenshots of 'Active screen' option in Save As, Email, Test Case Preview and Submit Defect screen.